These Outdoor Stainless Steel Road Mirrors are robust and durable and designed to withstand harsh environmental conditions. 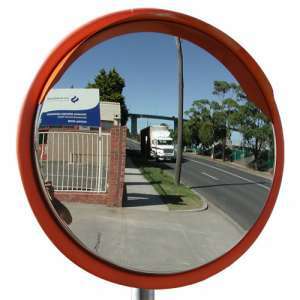 The mirror face has a shallow curve design which means a driver can observe high speed traffic much more effectively and the unbreakable stainless steel face can resist damage from projectile objects such as rocks or vandalism. 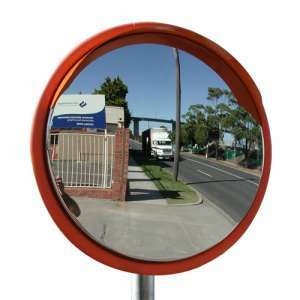 These outdoor convex mirrors can be installed anywhere a driver's field of vision is blocked, such as concealed entrances or exits, blind corners on roads and highways and at hard to see intersections. 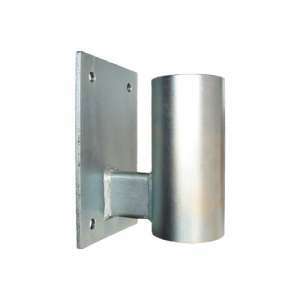 The extra strong galvanised steel clamp bracket is designed to mount to a 3" pole. 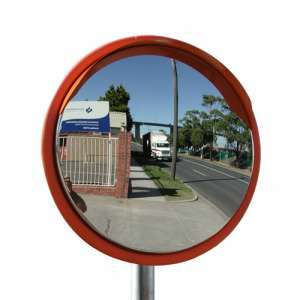 To mount these outdoor safety mirrors to a flat surface, a wall mounting adaptor is available to purchase. The 24" Outdoor Stainless Steel Road Mirror is robust and durable and designed to withstand harsh en.. TEMPORARILY SOLD OUT! The 32" Outdoor Stainless Steel Road Mirror is robust and durable and desig.. The 40" Outdoor Stainless Steel Road Mirror is robust and durable and designed to withstand harsh en.. The Outdoor Stainless Steel Road Mirror and Pro Series Acrylic Convex Mirror range includes a 3" cla..